Designed and planned in detail same as in an action movie that we have seen hundreds of times on TV. Everything went right as long as one of them was killed. 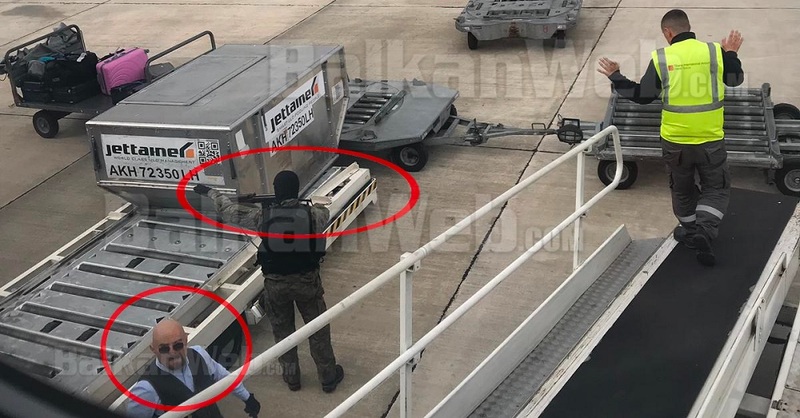 Today's robbery perhaps in the safest place in Albania the Mother Teresa Airport, even inside the plane - has shocked many people because of the way is carried out. 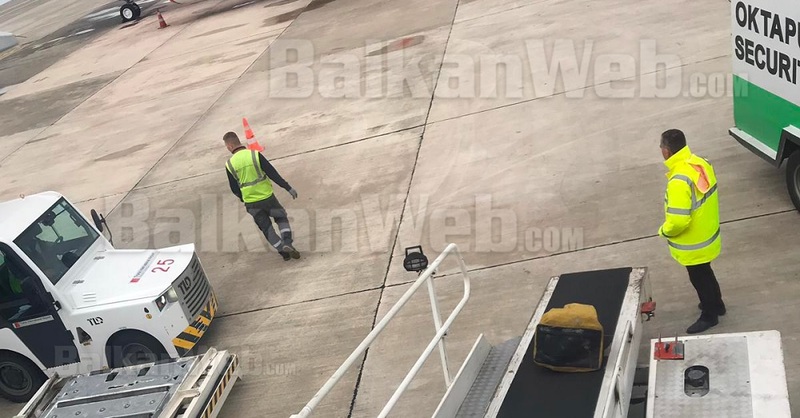 "BalkanWeb" brings for the first time some clear exclusive shots of the robbery. It is about the moment when armed robbers approached the plane and got 10 million euros in a few minutes, while 160 passengers were waiting inside the plane to travel to Vienna. Looks like the person similar to the murdered robber, with glasses but no face mask, black vest, and black pants. He is beside the plane near the abdomen, near the money. Before him, there is another robber but in uniform, with military vest (operational uniform) while is threatening the worker with the gun. Both have hand gloves hands. 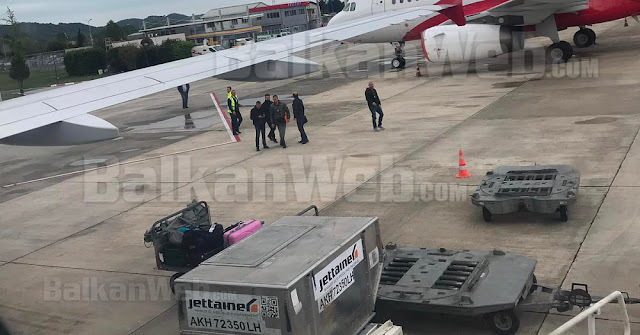 Is also seen the luggage entering the aircraft. These are the first, clear sightings of the robbers in the runway at Rinas Airport. The event took place today at around 15:00. Three entered the runway and took the money, two others stayed in the car. As soon as the money is taken, the perpetrators faced the Special Forces and the border police of Rinas in a secondary street where they exchanged fire. During the shootout, it is suspected that has lost his life one of the robbers that appears clearly in the picture, but it is not excluded that he was shot by his associates, as he was the only one without a mask. The victim is thrown down the river at Tapiza Bridge by the rest of the group. He had no identity tool. In this big operation are also engaged the Police Forces of Tirana, Lezha, Dibra and Durrës. The police have detained more than 40 people who may have informations, among them also the airport security personnel. This is the second case of money theft in the Rinas Airport runway and the fourth robbery of the banks money heading towards Rinas.